Names for various blocks of text. 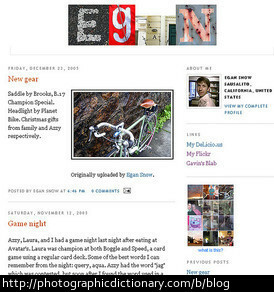 A blog, shortened from "web log", is a website written by an individual or a small group about a particular subject. Blogs can be professional or personal, and often contain images and links in addition to writing. 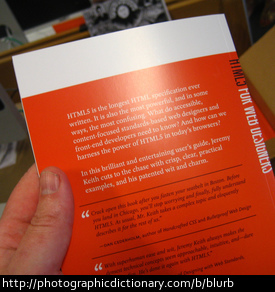 A blurb is a brief announcement or advertisement. 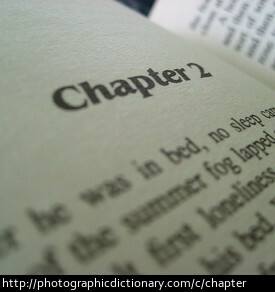 A chapter is a section of a book that usually has a number or a title. Chapters organize books into parts. A diary is a blank book in which you write about what is happening to you. 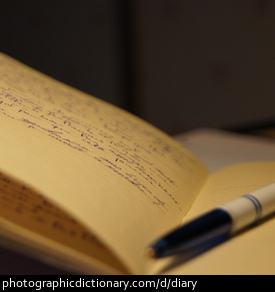 A similar word to diary is journal. 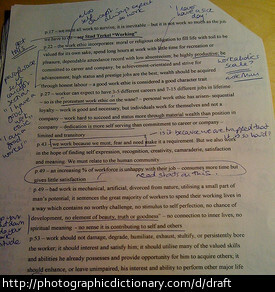 A draft is the first attempt at something, especially writing or drawing. 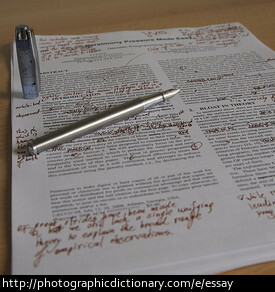 An essay is short piece of writing on a subject. 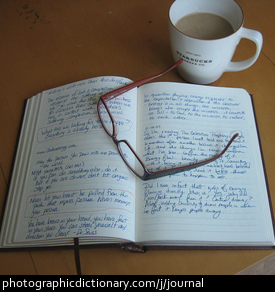 A journal is similar to a diary. You use a journal to record events in, like a record of a trip. 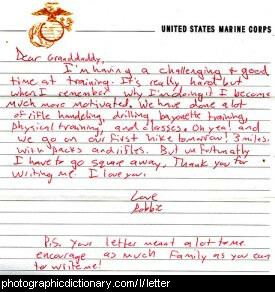 A letter can mean one of two things. A letter is either a letter in the alphabet, like the list of letters at the top of this page. Or a letter is something you write to someone, put in an envelope and then send in the mail. 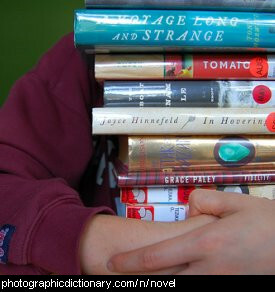 A novel is a type of book that has a fairly long story in it, that can take hours or days to read. 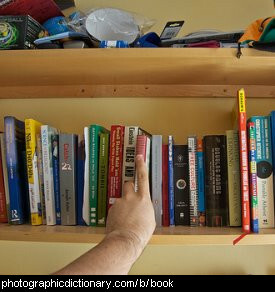 Novels usually contain made-up stories or true stories that have been written to be more interesting. People generally read novels for enjoyment.